Need A Los Angeles Wrongful Termination Lawyer? A termination is considered wrongful if it is done for an illegal reason, such as discrimination, or in retaliation for exercising a workplace right such as applying for a leave of absence due to disability, pregnancy, orcomplaining about sexual harassment. Whistleblowing, complaining about something happening at work that is illegal and then being fired is wrongful termination. Wrongful discharge is another word for wrongful termination and so is tortuous termination of employment. Not every employment termination is illegal and therefore wrongful termination. In order to understand exactly what constitutes wrongful termination in California, please contact our experienced wrongful termination lawyers at 1-877-525-0700 to find out what your workplace rights are. Some employers attempt to sidestep the law by making workplace conditions so intolerable that the employee is forced to quit. The legal term for this is “Constructive Wrongful Termination.” If your employer forces you to quit, it may still be considered wrongful termination even if the employer technically did not fire you. The law concerning what you must do to be able to quit and sue your mployer is very complicated. We strongly recommend that you speak to a qualified employment attorney to determine if you will be able to quit and sue, aend what steps you must take before doing so. California is an employment-at-will state, and this means companies are generally within their rights to lay people off singly, by the dozens, hundreds or thousands to cut operating costs or for other reasons they are not required to specify. Behind the scenes, however many people are chosen for layoff because of characteristics that are legally protected, most commonly age or affliction with a medical condition (cancer, disability, or need to take FMLA) that company decision makers view as costly for the employer or too much trouble to accommodate. 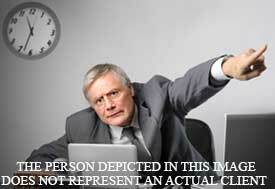 When this occurs, our firm argues the layoff was a pretextual mask for employment discrimination which is illegal. In the Los Angeles metropolitan area or elsewhere in California, we at the Employment Lawyers Group are here to help if you were selected for layoff in violation of state or federal laws. Our focused employment lawyers can make that determination and advise you accordingly based on decades of combined experience. 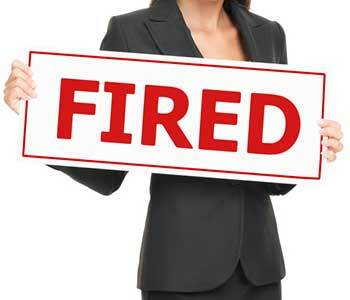 Click here to read more on wrongful termination. People wrongfully terminated, selected for layoff or forced to quit because they were over 40, over 50, suffering from cancer, undergoing medical treatment for cancer, a disability, or taking Family Medical Leave (CFRA in California).